Why should you open another credit card and switch to IHFCU’s Visa Platinum’s Credit card? Annual Percentage Rates (APR) as low as 9.9%* with no annual fee! Reduce your finance charges with our low APRs to help reduce your balance quicker. No cost $400,000 Travel/Accident insurance provided. Transfer balances as low as 9.9%* with a low 3% transfer fee. *Now you see what I am talking about! So, what are you waiting for? Apply online today or come in the office and pick up an application! *APR is based on your credit score. At Indiana Heartland FCU, we understand that your life is constantly moving 24/7 and you need access to your cash, whenever and wherever you need it. That’s why we offer easy and convenient solutions to fit your banking needs! Our Indiana Heartland FCU Debit Card gives you the same great benefits of an ATM card, plus it can be used to make purchases! 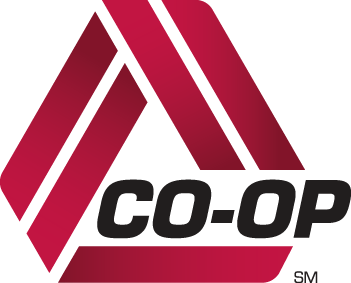 You can enjoy free access to ATM machines with the Alliance One or CO-OP logo. IMPORTANT NOTICE: Due to recent changes in ATM partnerships, to avoid any ATM fees, you must verify that the "Alliance One" or "CO-OP" logo is on the machine. If it is not, the ATM issuing bank will charge you a fee. This is not a fee from Indiana Heartland. TIP - When you use your Debit Card, signature transactions are always free! Simply choose “credit” and sign for your purchases, just as you would with a credit card. The amount will be deducted from your checking/savings account. If you need cash back, you will have to do your transaction as a “debit” and enter your pin number. You get 8 free “debit” pins a month; thereafter, there is a fee of $1 per each “debit” transaction made at an ATM machine. So we recommend you always choose “credit” for purchases, unless you need cash back. Electronic Transactions such as automatic debits and credits, ATM and Debit Card transactions, Account to Account Transfers via Perfect Teller or Sybil may post as normally scheduled during the holidays. Indiana Heartland FCU will never call asking for your personal information or card numbers. These are scams attempting to steal your personal information. IHFCU will NEVER contact you via email, text, or phone asking for confidential or sensitive information. Remember: NEVER give out your sensitive information to people who contact you. If you have been contacted by someone claiming to be your credit union and provided personal information, please contact us IMMEDIATELY to ensure your accounts are protected at 765-854-3067. After hours: In the event of fraudulent activity and/or lost or stolen card after hours please call: 1-800-523-4175.